These items are from a vintage toy farm, cast in lead and hand painted. Decorative objects, these look great displayed either individually or in small groups. They are all well used with multiple chips and losses to the painted finish which all adds to their character and charm. 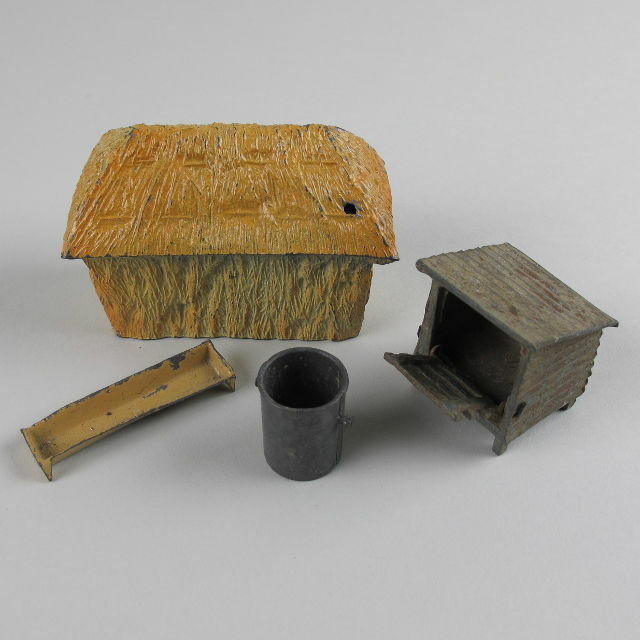 These lead accessories include a haystack, feeding trough, pail and hutch. The door to the hutch does not stay closed…but some judicious use of blue tack or similar would ensure a secured door.